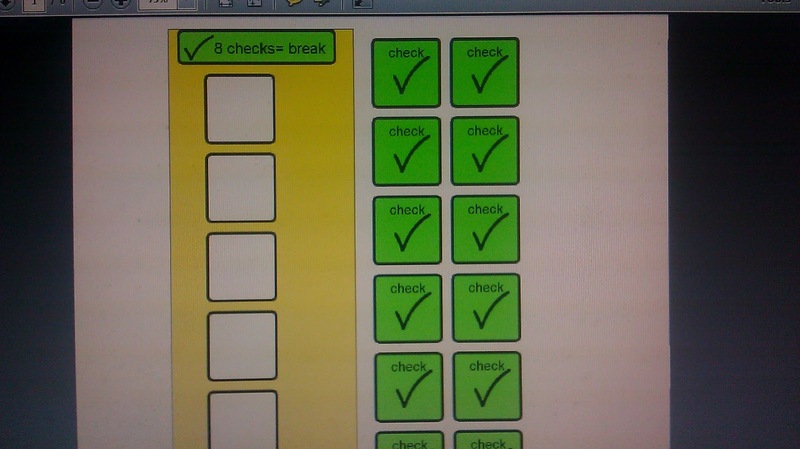 Token boards are a way to visually track the reinforcement for a given task, and its also a type of delayed reinforcement. A goal in any ABA program should always be to fade from continuous, tangible reinforcement to more social reinforcers that are delivered intermittently, such as praise, or privileges. Otherwise our clients will be at a disadvantage when they are in a middle school classroom and expect to receive a bite of cookie every time they answer a question correctly. In the real world, we tend to be motivated by intrinsic reinforcement, and the reinforcement we contact through our environment is usually intermittent. Engaging in non-preferred activities during the day can be a challenge for our kiddos. 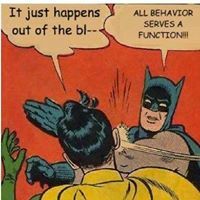 Disruptive and challenging behaviors usually take place during these types of tasks or activities, and I have often observed that the least preferred activities also have the least amount of reinforcement for successful completion. 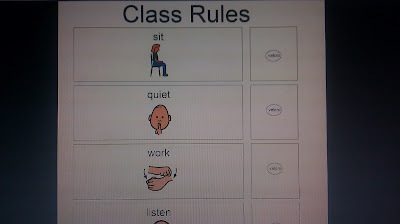 Using a token board system provides children with visual information about “how and when” to earn their reinforcer and allows them to see the consequence of low effort, disruptive behaviors..... what I like to call "stalling" behaviors ("I need a pencil...this one is too small.......can we sit in the kitchen.......I'm thirsty!"). The child cannot earn the desired reward while engaging in any of these behaviors, so instead of delivering threats or stating your SD over and over you can just point to the token board and tell the child "As soon as you do 2 math problems, we can go to the park". The child will quickly learn that delaying the task also delays the reinforcement! The child needs to understand what they are working to earn, what they must do to earn that item, what will NOT earn the item (this step is often skipped over), and the duration/amount of work you will require before they can access the reward. 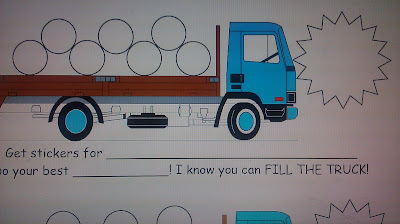 Here is an example: You are working with a 6 year old on a Block Design program. The target is the child will build a 4 block structure. 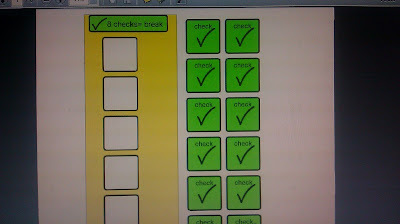 You are using a token board system where for every 2 independently correct responses the child earns 1 check. After 2 checks, the child can play 10 minutes of Wii. If the child needs prompting to build the 4 block structure, refuses to comply, builds a 1, 2, or 3 block structure, or exhibits behaviors, they do not earn a check. Only correctly and independently performing the target behavior gains a check. Particularly for older children, they enjoy getting to check off or add the token to the board themselves. Have a mini -celebration each time the child earns a token, and remind them how much further they have to go: "Great working, Evan! You earned 1 token! Just one more, and we can go play Wii!" There are all kinds of ways to create a token board, and the age of the child as well as their interests/personality should guide you. If the child is younger and loves Barbie, then you could have a token board where the child colors in a photo of a Barbie, and when they have colored in 3 Barbie's, they earn the reward. This way earning the reward is fun and the reward itself is fun. Remember to keep the child motivated. Learning to work for delayed reinforcement is tough. You are essentially thinning the child's schedule of reinforcement and if you move too quickly, you will get behaviors. Supplies: The actual tokens, spaces to place tokens onto or inside of, and a photo/label/image of what the child is working to earn (if possible you can also place the actual item onto the token board). I highly suggest you laminate both the token pieces and the board, otherwise after a bad session the lovely token board you created could be ripped up in pieces on the floor. Teaching Strategy: Create firm, concrete rules for the token board and stick to them. It is completely unfair to change the rules of the token board minute by minute, or when you feel like it. I usually use a token board for seriously non-preferred tasks, such as homework. So for homework, my expectations might be that the child needs to do homework independently without needing me or a parent to help them with every problem. So for that child I might create a token board where for every homework problem they complete independently they earn 1 token. They can still ask me for help, they just dont earn a token if I had to help them complete the problem. When homework is all done we will count up their tokens and each token equals 5 minutes of riding their bike outside. If those are the rules then I need to stick to them and allow the child time to learn them. If you change your token board too rapidly, the child will be confused about how it works. If they dont know how it works, then how can the token board benefit them? Behaviors: It is quite common that once these kiddos learn the rules of the token board the next response is to see just how far those rules can bend. This could mean the child completes a task, but does it incorrectly. Or the child exhibits problem behaviors such as crying or demanding the reinforcer before they have completed the task. This is why its so important to select clear, firm rules before implementing a token board. Everyone on the therapy team needs to be clear on how the token board works, what earns a token, and what does not earn a token. The child cannot access the desired reward until they earn the required number of tokens. If you find that you are having difficulty getting the child to work for the tokens, try reducing the amount of tokens required to earn the reward. Especially for a young child, the child could be required to do 1 difficult task, and 2 simple tasks to earn a token. The Reward: The reward used should be powerful, and the more tokens necessary the bigger the reward should be. A child shouldn't have to earn 15 tokens to get a high-five. That would be pretty ridiculous. 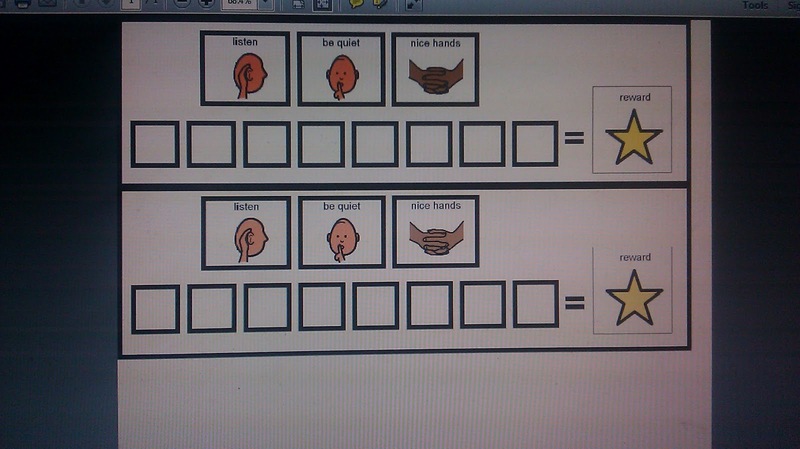 Providing praise for each token earned (not just the final reward) will also help keep the child motivated. I find that my kiddos get excited to see a token added to their chart, or to add a check to their token board. If you praise their earning a token, then they will start to get excited about progress and not just the ultimate goal. The reward should be delivered immediately upon the child earning the required number of tokens, and don't allow the child to access the reward if they dont have enough tokens. Doing so will simply undermine the effectiveness of the token board. I am new here..found you on pinterest. I have a 6 year old with ADHD, severe anxiety and sensory. I usually have the time to make charts and stuff, but now with 3 kiddos, I have been looking for ready made. Do you have links to the printouts in the pictures. They are adorable (especially the truck!) 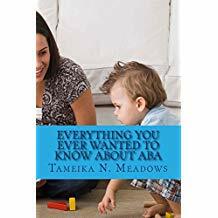 We are new to ABA. Since getting the dx for my son a year ago, we have been struggling to get the HELP needed to MANAGE his behavior and to LEARN how to help him. NO ONE can help...or at least no one WITH insurance. So I started yesterday researching what I can on my own! (that is where you come in) Thanks for a great blog. SO many helpful ideas! I added all the token boards I used in this post to my "Free Resources" section. 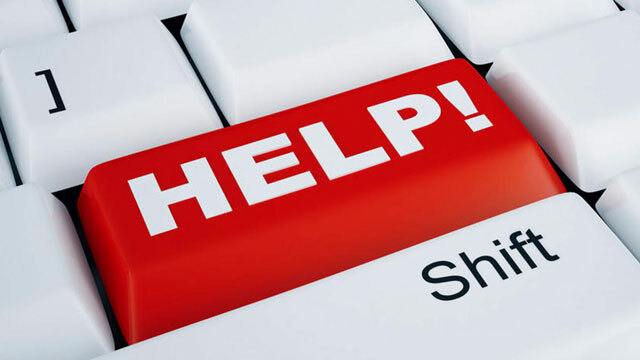 All you have to do is click on each link, and you will be able to download the items directly to your computer, or print them out. 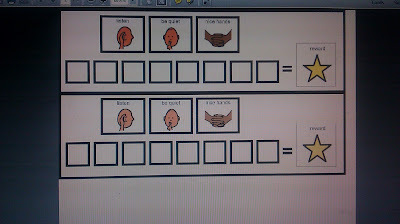 Just a tip: token boards work best when they are individualized to the child. I just made a Toy Story token board today for a client who LOVES the movie. So his tokens are all characters from toy story, and the actual token board looks like a toy chest. He earns tokens and then places each token inside of the toy chest, when the chest is "full" he gets a reward. I hear from so many parents in your situation, struggling to find resources and help in their area (that they can afford). My "Paying for ABA" post may be helpful for you, and give you ideas about ways to fund ABA. Congrats to you for researching on your own and seeking ABA knowledge, and good luck to you!